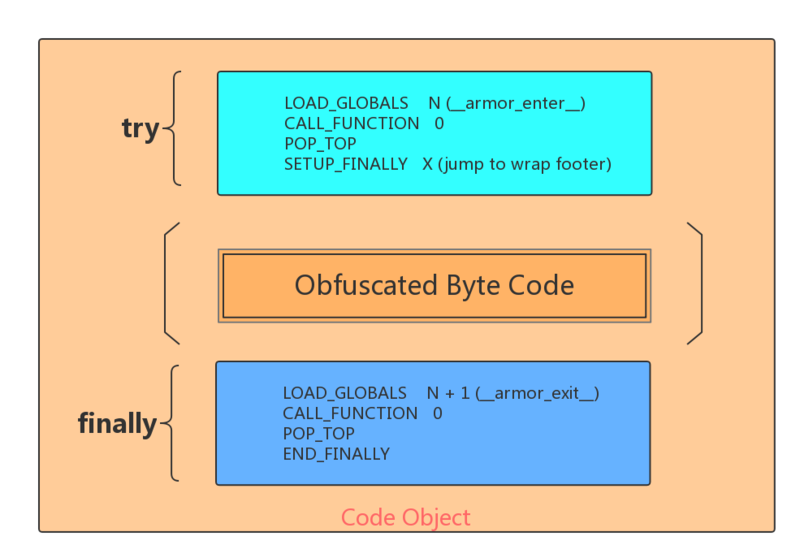 A command line tool used to obfuscate python scripts, bind obfuscated scripts to fixed machine or expire obfuscated scripts. And PyArmor works well with py2exe, py2app, PyInstaller, cx_Freeze etc. 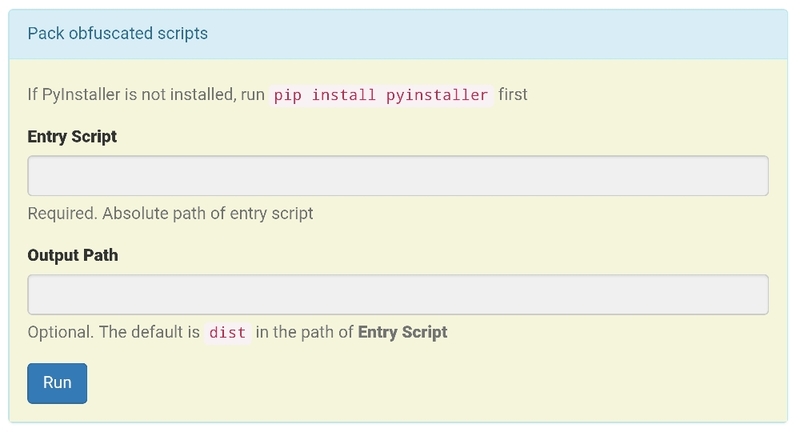 PyArmor could pack obfuscated scripts into one bundle with PyInstaller etc. 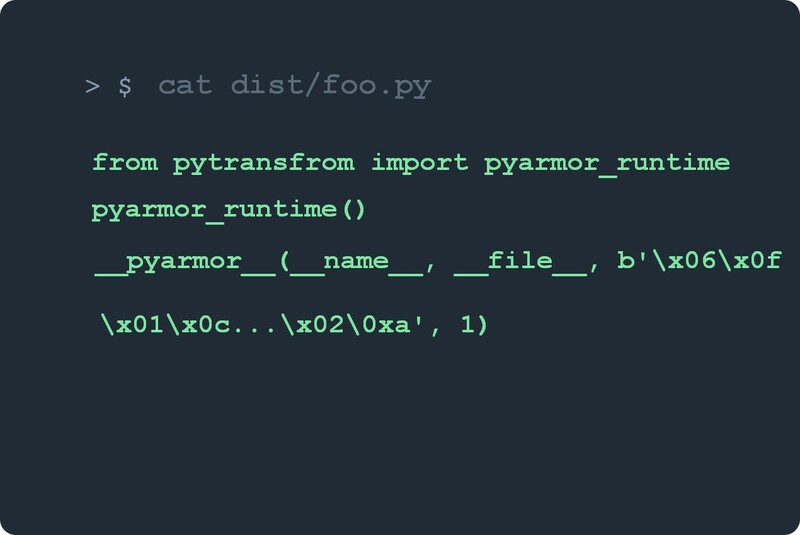 PyArmor can bind obfuscated scripts to serial number of harddisk, mac address of network card, ip address etc.. It will start a light weight web server in localhost, and open a page in web browser.